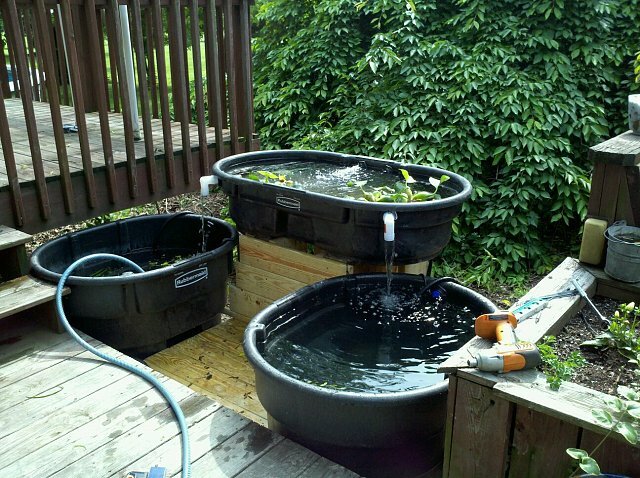 It's getting warmer around the US and Europe which means pond season for the lucky few of us, but it's also something special for the serious hobbyist: a chance to expand your fishroom. I'm not talking about an extension on the house; I'm talking about your back porch. In most of the US and Europe, there are at least a couple of months of weather warm enough to house most of our aquarium fish outside. Hobbyists take advantage of this warm summer weather to spawn and grow fish outside. Some accidentally discover that fish spawn like this while others, often going on the words of those with the happy accident, purposefully put fish outside to spawn. Most people believe the trick to getting the fish to spawn is how closely this replicates their natural environment. The floating plants, the live food, the cooling rain are all things the fish would naturally experience and have evolved to live with. 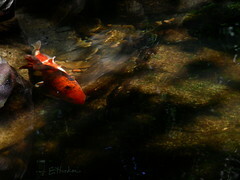 People have had success spawning all kinds of fish from livebearers to egg-scatteres like barbs and tetra. Gourami are another favorite fish to spawn in these tubs. Placement of the tub does matter. You can't put them in full sun all day long as this will heat up the water too much. Ideally you want about 4-5 hours of morning sun. This means placing them on the eastern side of your house or yard. The tub (or tubs) should not be under cover or eaves of your house because the rain is important to them. Rain cools the water in the heat of summer and provides mother nature's water changes. Most any tub that holds more than 20 gallons of water will due. Animal watering troughs are a favorite because they are large, built to hold water, and the plastic won't degrade under the UV rays of the sun. You might have to modify the tub a bit. If you don't like the idea of tubs overflowing when you get a lot of rain in a short time, then think about drilling overflow holes. These drain the tub when it reaches a certain water level and prevent the tub from overflowing and sending your plants and fish overboard. An optional piece of equipment is a pump. Some people like the calming noise of water moving, and some people just like to have some water movement in the tub to keep it a uniform temperature. Something like this would be less important if you were raising gourami or betta spawns. When setting up these summer tub ponds, you are really at the mercy of mother nature. This often means being familiar with the weather patterns in your area: what time of year it really begins to warm; what time of year you see cooling off; just how much rain you get in the summer. When you see daytime temperatures steadily in the 70's (~ 21C) is when you should begin setup. Just as with a tank, start with the plants first. Fill the tub with a mixture of dechlorinated tap water and water from the tank that you will be bringing the fish. This gives the plants some nutrients to consume before you add the fish. Let the plants get settled for about a week. Then you add the fish. Don't just dump them in; acclimate them like you would any fish. You may also want to place some mesh netting over your tub pond because fish have a tendency to jump in the first few days. Plants are a big aspect of these summer tub ponds. They are part filtration system, part cooling system, and part fry nursery. 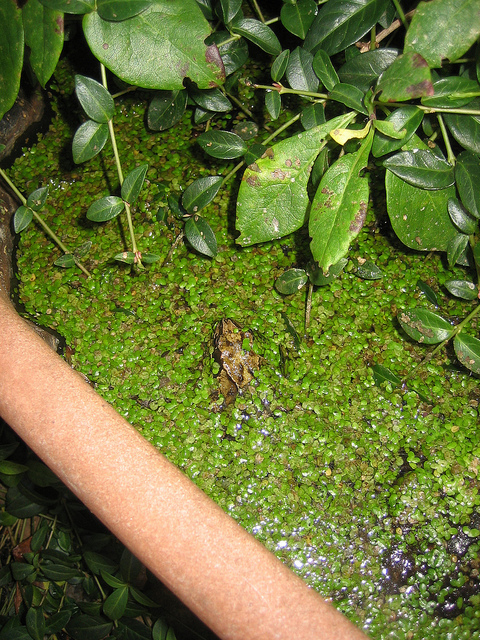 The best kind to have are floating plants like water lettuce, frogbit, water hyacinth, and duckweed. These all have roots that hang down and allow fry a good place to hide. Egg-scatterers can attach their eggs to these roots; bubble nesters can attach their nests to the undersides of leaves. If you are looking for some lovely blossoms, lotus plants do well in these setups, too. Marginal plants like iris, cattails, and rushes can be used to add some aesthetic appeal and make the tub really look like a pond. Just like with fish tanks, patience is key! This summer, I've decided to try out these summer tubs. 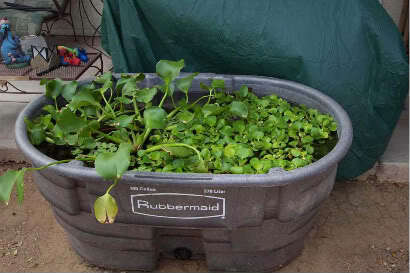 I have a lot of floating pond plants because they grow so well in the pond, and I have an old plastic tub that I used to haul around pond plants in. The only thing I would need is the fish. As much as I'd love to try breeding my gourami in a tub this summer, I don't want something to go wrong on my first try and accidentally kill them. So I'm going to use the livebearers from my pond, mosquitofish Gambusia holbrooki. When the summer is up I will just put the remaining mosquitofish back into my pond. Next summer I will be spawning my gourami. Wish me luck!! My tub pond! Grow, baby, grow!!! Colleti, Tim, Dr. 2011. "Summer Tubbin': Breeding you Fish Outdoors." Tropical Fish Hobbyist (June) 86 - 89. Sipes, John. 2003. "Summer Tubbin'." www.aquarticles.com. Retrieved: 28 April 2013. Marchio, Liz. 2008. "Urban Pond Tubbin' Water Gardens". AquaScaping World (June): 8 - 11. I see what looks like a 50 gallon stock tank flowing into two 100 gallon tanks in the first photo. I have several 100 gallon tanks that I use to grow tropical water lilies during the summertime. Lots of blooms by mid-summer here in Florida.